After the recent success of the exhibition “Ai Weiwei. Libero”, from 10 March through 23 July, 2017, the Fondazione Palazzo Strozzi in Florence presents the exhibition “Bill Viola. Electronic Renaissance”. The show celebrates this unchallenged master of video art, presenting works that span his long career, and which resonate with the architecture of Palazzo Strozzi. Born in New York in 1951, Bill Viola is internationally recognised as one of the most important contemporary artists, producing video installations, sound environments, and performances that offer the public profound experiences of immersion in space, image and sound. 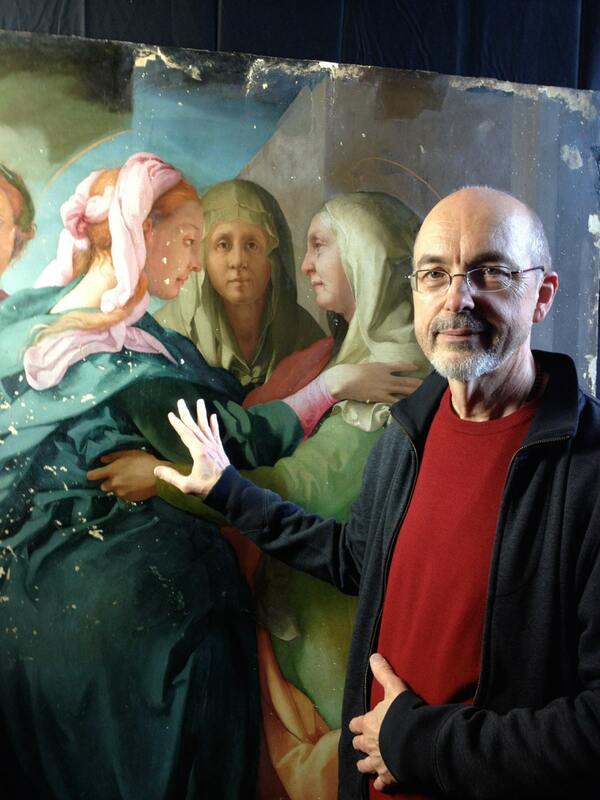 Bill Viola in front of Pontormo’s Visitation, in Daniel Rossi restoration studio, Florence, 2013. Photo: Kira Perov. Curated by Arturo Galansino, director of the Palazzo Strozzi, and Kira Perov, executive director of Bill Viola Studio, the exhibition reviews a career marked by a combination of technological research and aesthetic reflection. It includes works beginning with his early experiments with video in the 1970s right up to the large installations of the 2010s that have drawn the public’s attention with their strong impact on the senses. In a new surprising layout, the exhibition will use the context of Palazzo Strozzi to fuel an extraordinary dialogue between the classic and the contemporary, through the juxtaposition of Viola’s work, and masterpieces of the Renaissance that have been source of inspiration for the American artist. Bill Viola, Emergence, 2002, 11’40”. Color High Definition video S213 x 213 cm. Creating an exhibition of Bill Viola’s art in Palazzo Strozzi, in an environment that includes both the Piano Nobile and the Strozzina, also means celebrating the special relationship that the artist has always had with the city of Florence. It was in this city that he continued to develop his career as a video artist, from 1974 to 1976, when he was technical director of art/tapes/22, a centre for the production and documentation of video, run by Maria Gloria Conti Bicocchi. 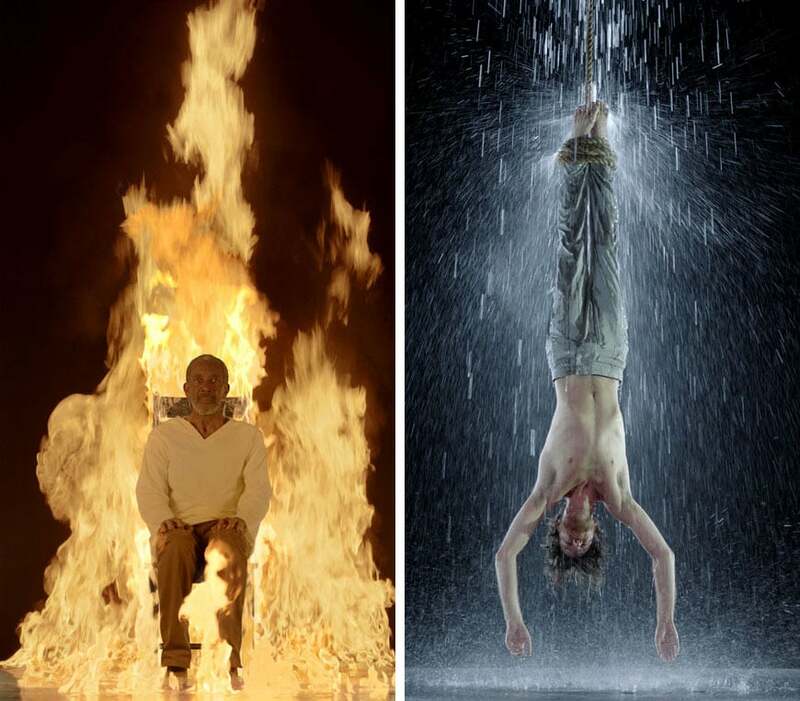 Bill Viola The Martyrs (Earth, Air, Fire, Water), 2014, 7’10”. 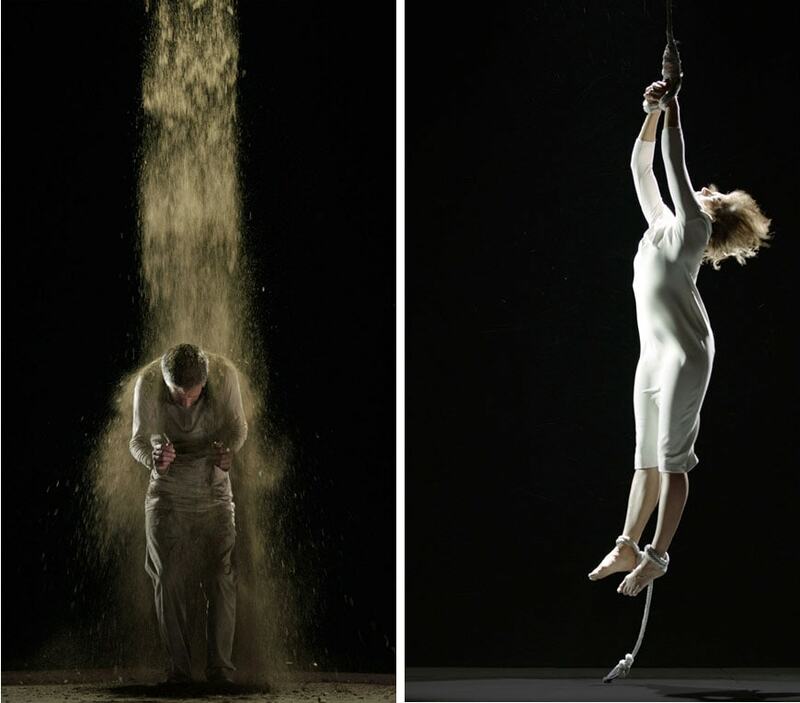 Color High-Definition video Courtesy Bill Viola Studio. Palazzo Strozzi extends the exhibition experience to other locations in Florence and Tuscany, thanks to important partnerships with museums and other venues such as the Uffizi Gallery, the Santa Maria Novella Church Museum in Florence, and the St. Andrea Church Museum in Empoli, where the artist’s work will be on display.